Back in the days when B&M started in Van Nuys, California, we were known for our Hydro Stick transmissions. 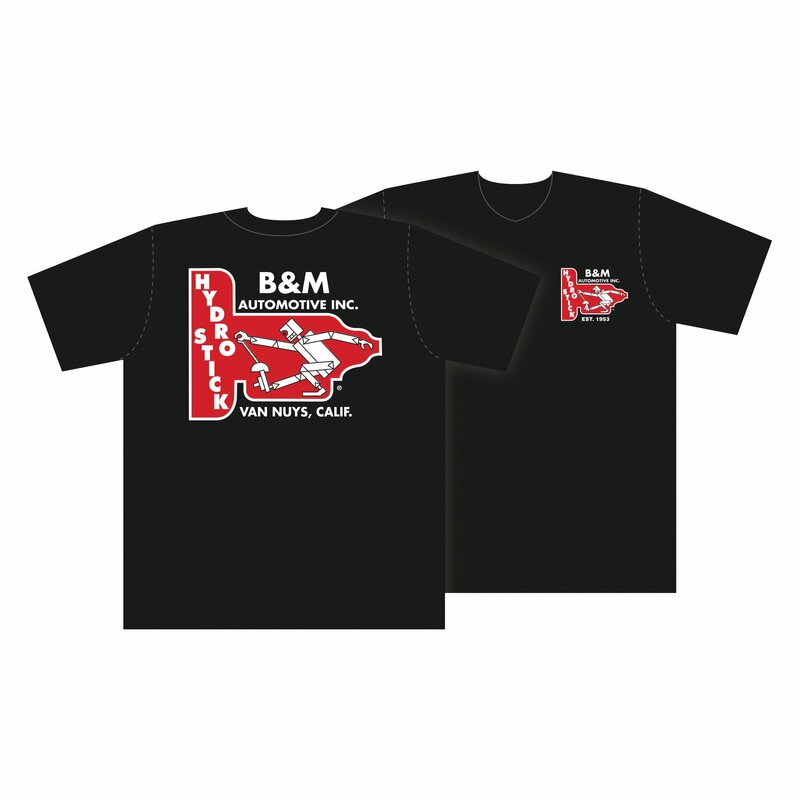 We may not be selling Hydro Sticks anymore, but you can still wear the original B&M logo proudly, with this 100% cotton black tee featuring a B&M Hydro Stick logo on front and large mechanical man image on the back. B&M Hydro Stick logo on front and large mechanical man image on the back.